KUM is the handicraft accessory woven of silk together with natural stones, pearls and various materials. 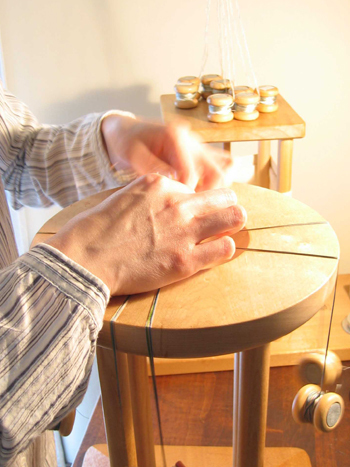 Although ultilizing the Japanese traditional technique, Kumihimo (Japanese braid), this unique accessory matches modern lifestyle. Once you wear it, you will enjoy its oriental atmosphere, touch of silk and color harmony. We hope that KUM can be near your dress and even inside of you.